David Samadi, a star surgeon in New York is suspected of medical misconduct after investigators found that he had been booking 2 to 3 surgeries at the same time and let unsupervised and inexperienced residents handle them. An investigation by the New York State Office of Professional Misconduct is continuing. Residents also complained that they weren’t properly trained. The celebrity urologist is the Chairman of Urology and the Chief of Robotic Surgery at Lenox Hill Hospital in New York. He earned $6.7 million in 2015 as a specialist in robotic prostate surgery. The Boston Globe Spotlight Team has published a detailed account of his practices. Link below. They found that he keeps track of his robotic surgeries on a board in one of his operating rooms. They obtained a photograph of the board that listed 1,380 robotic surgeries between July 2013 and January 2017. According to The Globe investigation The American Urological Association investigated Samadi’s advertising practices based on complaints from other urologists causing him to scale back claims that he had cured 97 percent of his prostate cancer patients. Lenox Hill Hospital is making millions of dollars a year a from his surgeries. The practice of double booking is not considered medical malpractice as long as the teaching physician is present during “the critical part” of the surgery. However in the case of David Samadi, it appears that the doctor would never show up during most non robotic surgeries and let residents handle them. According to data provided by the hospital, David Samadi performed 2,200 operations in 3 years. That’s 733 operations per year and 2 to 3 operations every working day of a year. The Globe investigation found that operations were overlapping in 70% of the cases and hundreds of times one operation would completely overlap with another. 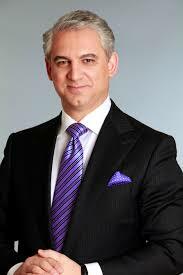 Most of the time overlapping procedures would occur when Dr. Samadi would be performing a robot-assisted operation. On his website the doctor tells patients “He remains the surgeon for the entire procedure and is in control of the robot at all times”. If Dr Samadi is assisting during the entire procedure how can he at the same time be in another room supervising residents during “critical parts”? This is an example of placing money ahead of good patient care.